Last month, we talked about the Time Snatchers that are probably threatening your efficiency. 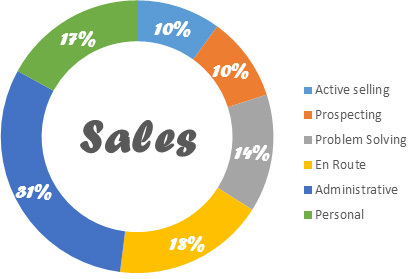 Statistics show that sales people spend somewhere between 10 and 15 percent of their workday actually selling. If you’re running your own business, it could probably be even less than that. Maybe 20 percent of your time is focused on opening and closing new business. Since a current client has greater value to you in the long run, that 14 percent problem solving could be your best time investment. But, what about the other two-thirds of your day? Do you know exactly what you are doing? Since for us, sales people, there’s always more we can do, it’s got to be about prioritizing. When it comes down to it, time is money and you don’t want to waste either. That’s why we are here to give you a few more tips to make sure you only travel when you have to, turning your prospects into qualified leads and then into sales. It’s the oldest metric in the industry – you cold call five people, hopefully you get one visit. But why are you wasting your time calling those other four? Wouldn’t it be easier to just focus on that one who is ready to meet with you? Cold calling can work, but it takes so much work, time and energy, and, let’s face it, it’s demoralizing. How else can you find new business, you say? By networking. Cold calling says you’re fishing, like a telemarketer. Plus the majority of key decision makers aren’t going to be the ones answering the phone anyway. Asking a friend or former colleague to make an introduction on LinkedIn says you’re equals. Going to a business networking event and handing someone your card over a beer says you’re comrades. Someone who you have met in any way other than over the phone and, whenever possible, outside the office, becomes your connection, not just contact details. The key is not to call someone at random and hope that they are open to business. The key is to put yourself out there – both in public and online – so they can contact you when they are ready for your service. 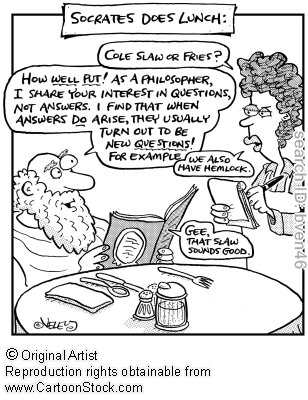 The most effective sales idea goes back to Socrates, but most people still don’t get it. ASK OPEN-ENDED QUESTIONS. Unless you sell cars, a sales presentation on a first visit is probably a waste of your precious time. Certainly, unless they are trying to work for your company, no one cares about your company’s organizational chart. If you don’t know what your client needs, your features are just features. If you’ve taken the time to ask the right questions in the first visit, you can drive your next visit to be the one that guides your client to see the benefits of your product or service. It can cut your pre-sale client visits in half. Is there anyone else I should be talking to? These perfect open-ended questions get down to the nitty-gritty of who the key decision makers really are and what’s really important to your customer. If you send a proposal through our service, you can see right away what your client is fine-tooth combing in the contract – and it might not be the thing you were debating about. It can give you insight on if you’re really arguing about the specifics or if the bottom line is all that matters. You can then use this data to build well-put-together quotes for the individual, as well as gain insight into your target market as a whole.